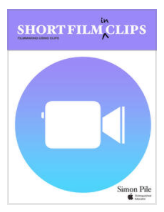 On this page there are links to content created by staff at Brent Apple Regional Training Centre or resources available from Apple to support teachers in the classroom. Apple Teacher is a free professional learning program designed to support and celebrate educators using Apple products for teaching and learning. As an Educator you can build skills on iPad and Mac that directly apply to activities with your students, earn recognition for the new things you learn, and be rewarded for the great work you do every day. Just click on the logo and use your Apple ID to begin learning with the Apple Teacher programme. The Brent RTC holds courses to support teachers with their own professional learning using Apple Teacher. 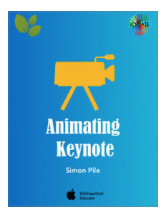 Apple Distinguished Educator and Apple Teacher, Simon Pile, has written a number of books available in iTunes. With over 20,000 download the books focus different uses of Apple technology. 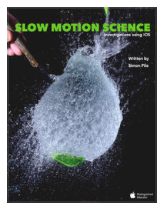 There are books using Keynote or Clips and science becomes the focus in Slow Motion Science which looks at how iOS could be used to capture changes in science. 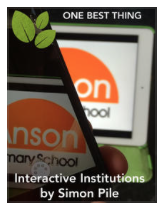 Interactive Institutions looks at the use of Blippar in education. Download them from iTunes for FREE. Apple Education have one of the most comprehensive iBook collections on iTunes. The books cover a range of apps and software on Mac and iPad. They are available for FREE to anyone using Apple products and are designed for the education market. Click on the image for more details. This series of multi-touch books by Apple Distinguished Educators highlights specific use of Apple products to transform teaching and learning. Click on the logo to find out more. Technology has a language called code. At the Brent Regional Training Centre we believe coding is an essential skill. While learning to code children solve problems and work together in creative ways. We think everyone should have the opportunity to create something that can change the world and they begin by learning the building blocks of coding. The Apple approach is a complete journey from the earliest school children to university students. Click the logo to find out more.